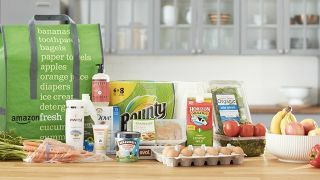 Amazon has dabbled in home food delivery with Amazon Fresh, but now the company is making a big step healthy food market by acquiring Whole Foods for $13.7 billion. Not only is this one of the biggest acquisitions in history – making Disney buying Marvel and Lucasfilm for $4 billion each seem like small deals by comparison– it has the potential to vastly expand the reach of Amazon Fresh. Wholefoods has brick and mortar stores around the world in the Untied States, Canada and the United Kingdom. Amazon has steadily been increasing its focus on delivering every type of good to its customers including groceries. More recently, the e-tailer announced its designs to build its first physical grocery store based in Seattle, Washington, which is to be named Amazon Go and expected to open in early 2017. If the acquisition goes through, Amazon plans to continue to operate all the Whole Foods stores under its original name as a separate unit of the company. The deal between Amazon and Whole Foods should close in the second half of the year. Does this mean quinoa delivered by drone?